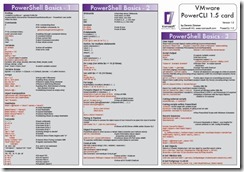 I have just had an email from the guys at icomasoft letting me know they have released a PowerCLI Reference Card much like my reference card release earlier this year, this is in a real nice PDF format and has some powershell basics as well as the PowerCLI cmdlet references and examples. 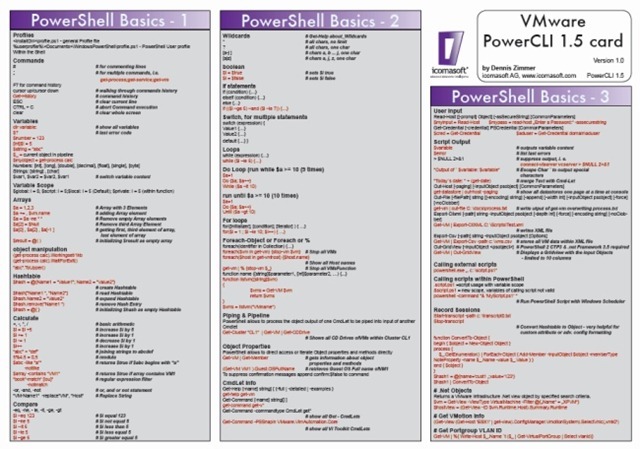 This looks like a great sheet to download and keep with you for reference, its a 4 page doc which covers an awful lot of information. Head over to the icomasoft site to download this and why not try out there great PowerCLI plugin software while you are there.